After 35 years of “anthropological sleuthing of pre-Abrahamic origins” I have come to conclusions which are not well understood and rightly questioned. Readers should pursue the truth of this research because it will strengthen you spiritually and intellectually, and equip you for the work of Christian apologetics and evangelism. That said, I have yet to be proven wrong in my assertions that Abraham's ancestors were rulers who came out of Africa and that they were devotees of a faith that finds fulfillment in Jesus Christ, the Son of God. Why are you so persuaded by the theory that a priest class of devotees to Horus are the predecessors of Israel’s religion? You do know this belief of yours about history is not shared by many other people and has nothing to do with Judaism or Christianity, right? You seem like a great thinker and an articulate person. Horus (HR), was called “son of God” and was born of the virgin queen who was overshadowed by the Sun (the Creator’s emblem). Her totem was a cow and images of her at the oldest Horite temples show her holding her son in a manger. Since the king lists of Genesis reveal a Horite marriage and ascendancy pattern, it is logical to assume that the Horite belief is the origin of Messianic expectation. In other words, Christianity emerges in an organic way from the faith of Abraham and his Horite ruler-priest caste. In this sense, it is a received tradition of very great antiquity, not a copy-cat religion as many agnostics and atheists claim. The Horites were a caste (not an ethnicity) of ruler-priests, metalworkers, tanners, scribes, stone masons and warriors who served at the ancient temples and water shrines. They can be traced back to the cattle-herding Proto-Saharans, whose oldest known shrine (about 5000 BC) was Nekhen on the Nile. Another Horite shrine was Heliopolis. The Harris papyrus speaks of 'apriu of Re at Heliopolis, the shrine of the Sun. Joseph married into this royal priest line when he married Asenath, the daughter of the priest of On. On is Heliopolis. The temple castes were dispersed among many different populations in the ancient world and are older than the first dynasties of Egypt. However, at the most fundamental level Egyptian religion was also Proto-Saharan. The Saharan origins of the rulers of Egypt has been well documented by the Canadian archeologist Mary McDonald. Here are the facts related to this jumble of misinformation. The Horites did not worship the Sun. They regarded the Sun as the emblem, boat or chariot of the Creator. They regarded the Moon as the inferior partner in the binary set Sun-Moon. The Sun represented the masculine principle and the Moon the feminine principle. That is why the rulers allowed their skin to be darkened by the Sun and their queens made themselves white, like the Moon. Isis is a later name given to Hathor. She was also called Meri. She is shown at the Dendura Temple holding her newborn son in a manger or stable. The stable was constructed by the Horite priest Har-si-Atef. Atef was the crown worn by deified rulers. The Arabic word atef or atif means “kind.” The ruler who wore the atef crown was to embody kindness and he was to unite the peoples, as Horus was credited with united the Upper and Lower Nile populations. The rulers of the two regions wore different crown, but Horus wore both, which is why he was called "Horus of the Two Crowns." In his infancy Horus was depicted as either a calf or a lamb and in his maturity as a bull or a ram. Horus is the only mythological figure in ancient Egypt who was understood to be a man and only as a man does he wear the two crowns. Hathor-Meri was the patroness of Horite metal-workers, such as Aaron, one of Moses’ brothers. Mining operations were under the auspices of Hathor, as at the Timna Valley copper mines near Eilat. At an ancient city in southern Iraq there is a place called Bad-tibira, which means "Wall of the Copper Worker." This ancient site appears among antediluvian cities in the Sumerian King List. Its Akkadian name was Dûr-gurgurri, meaning "Fortess of the Horite traders." Hathor is shown in ancient images with the sun between her horns. This represents the belief that she conceived by the overshadowing of the Sun. Among the Afro-Asiatics there was a belief that deified rulers were born by such a miraculous means. Sargon (likely Biblical Nimrod) claims this for himself. His claim to divinity was disproved when he died and did not rise from the grave. 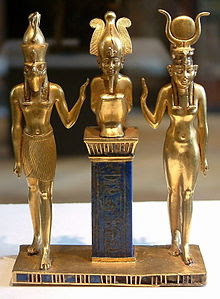 The Horite sacred Triad was Ra, the Creator and Father of Horus, Hathor, the virgin queen who conceived Horus buy the overshadowing of Ra, and Horus, the divine Son. Hathor was not Ra’s sister. Horite belief in a deified son who would embody kindness and unite the peoples found fulfillment in Jesus Christ, a descendant of the Horite ruler-priests, the divine son of the Virgin Mary, daughter of the shepherd-priest Joachim of the line of Nathan. Jesus Christ is the fulfillment of the promise made to Abraham’s Horite ancestors in Eden (Gen. 3:15). This is why Frank Moore Cross cannot avoid the conclusion that the God of Israel is the God of the Horites. The Horite ruler-priests were regarded as deified “sons” of God. They are often called “gods” (elohiym) as in Exodus 22:28: “Thou shalt not revile the gods (elohiym), nor curse the ruler of thy people.” They served in the temple on a rotating schedule and purified themselves before the time of service. It is from the Horite priesthood that the priesthood of Israel developed. Moses’ brothers Korah and Aaron were Horite priests before the nation of Israel existed. This is confirmed by the distinctive Horite marriage and ascendancy pattern of Moses’ father. There is absolutely no evidence that the Horites believed that the Creator God was cut into pieces. This is a Babylonian story about Nimrod that dates to long after Abraham’s Horite ancestors. The Horites worshiped the supreme Creator when other peoples were worshiping lesser deities. They anticipated the coming of the Seed of God (Gen. 3:15) and believed that He would be born of their royal-priest bloodlines. That is why the lines of priests intermarried exclusively and why unchaste daughters of priests were burned alive (Lev. 21:9). Sexual impurity was not tolerated. I conclude from the data that Jesus Christ's coming was anticipated by His Horite ancestors. His dying was expected, and His resurrection was regarded as the ultimate proof of his Divine Sonship. I take by faith that He came to save repentant sinners, such as myself. Today there is adequate information available to gain a clearer picture of the pre-Abrahamic origins of the Messianic faith. It is not sufficient in this age of empiricism and skepticism to say that the Biblical record is true. People want to see that it is verified by the evidence in the sciences. That is why my research is valuable. Matthew traces Joseph's ancestry through King Solomon and lists Joseph's father as Jacob, while Luke gives a line through Nathan and says Joseph is the son of Heli. Jacob and Heli are the same person. Heli was an honorific title that meant God, helper or strength. It is Nilotic in origin. The Egyptian cry to the Creator whose emblem was the Sun began “Helie!” Here we see the polysemic quality of the ancient Afro-Asiatic biradicals. HL has multiple yet related meanings. Heli is equivalent to Eli and appears to indicate the chief priest as personification of God. This precedes the establishment of Israel’s monarchy. This was a common notion among Abraham’s Horite people. The ruler was expected to become a deified son. Eli was the chief priest at Shiloh. He acted as a seer in foretelling Hannah’s miraculous conception of Samuel (I Sam. 1:9-18). Heli and Eli are derived from El and Al in the North and Southern Arabian dialects, and related to Eloi in Aramaic, ‘Alahy in Syriac and Ηλει in Greek. The transliteration of Heli Heli (my God, my God) in Matthew 27:46 as Eloi, Eloi follows the Codex Sinaiticus and Vaticanus. The priestly line of Joseph is evident in both Matthew and Luke. 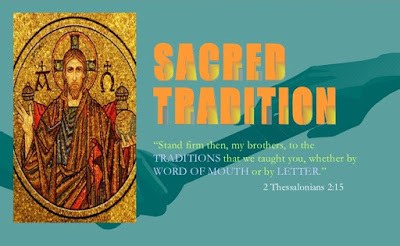 Consider this list in Matthew: Zadok, Eleazar, Matthan, Yaqob, all names associated with the priesthood of Israel. The priest Zadok (Tzadok צדוק, meaning "Righteous") was descended from Eleazar, one of the sons of Aaron (Harun). Zadok was the first chief priest to serve in Solomon’s temple. David addressed him as ha-Kohen ha-ro'eh attah, meaning "You are the seer-priest" in II Sam. 15:27. The sons of Zadok are praised by the prophet Ezekiel as staunch defenders of the true faith. Ezekiel was himself a Horite, the son of Buz (Buzi in Akkadian). Ezekiel 42:13 and 43:19 suggests that the priestly descendants of Zadok would serve in the future Third Temple, which Ezekiel envisions along the lines of an ancient Horite archetype. The antiquity of the priestly ancestry of the Virgin Mary’s husband is evident in these names, Melchi, Levi, Matthat, and Heli. Melchi-Tzadok (Melchizedek) is the first named ruler-priest of Yerusalem in the Bible (Gen. 14:17-20). His name means “Righteous King.” Levi was a son of Jacob. His descendants, the Levites, served in the temple. As was characteristic of the Horites, they were dispersed among the peoples. Matthat and Heli are Nilotic names pertaining to the Horite ruler-priest caste. The royal hat is found in the names of Egyptian rulers such as Amen-em-hat, Hat-shep-sut, Merytre-Hat-shep-sut and in the name of one of Isreal’s great rulers, Yeho-shep-hat/Jehoshephat (Matt. 1:8). One of Yehoshephat’s sons was Shep-hat/Shephatiah (II Chron. 21:2). There was no J in Biblical Hebrew. The J only appears in English and German translations of the Bible after the 16th century. That being the case, Jacob was Yaqob; Joseph was Yosef; Judah was Yahuda, and Jorim was Yorim or Horim. Different versions of the Bible have different spellings for the same person. There are many examples, including Asa/Asaph; Hophni/Ophni and Phinehas/ Phinees. The spellings Mattatha, Matthat and Mattathias are the same name, though they do not refer to the same person in Luke’s genealogy. This name appears 4 places in Luke’s list and elsewhere in the Bible as Mattai, Mattan and Matthew. Another variant of the name is Hara-mathea. In the Masoretic Text the name of Samuel's city is hara-matatyim zophim. Samuel’s father Elkanah was a Horite priest of the line of Matthew/Matthat. Hara-matatyim is the priestly line of Joseph of Hara-mathea, the maternal grandfather of Mary’s husband Joseph the Younger. He was the member of the Sanhedrin who requested the Lord's body in order to bury Him. Consider the following diagram. Luke’s list is longer than Matthew’s because it reflects the cousin bride’s naming prerogative, which suggest that Luke received this information from Mary, Joseph’s cousin bride. The cousin bride named her firstborn son after her father. This is evident in Luke’s list in the repetition of the names Matthew, Joseph and Melchi. The repetition of names in lists of rulers indicates that the cousin bride named her firstborn son after her father. The pattern is first found in Genesis 4 and 5. Consider the following diagram. In Luke’s list, there are forty-two names after David and in Matthew's genealogy there are only twenty-seven names after David. Luke places Joseph and his brothers Judah, Simeon and Levi in sequence, creating 4 generations. However, Joseph, Judah, Simeon and Levi represent one generation. It is immediately after this insertion of Jacob’s four sons that Luke’s list becomes very interesting, as demonstrated in the following chart. It is evident that Joseph and Mary were patrilineal cousins, that is, they had common male ancestors. This is true of all the Horite lines presented in the Bible. 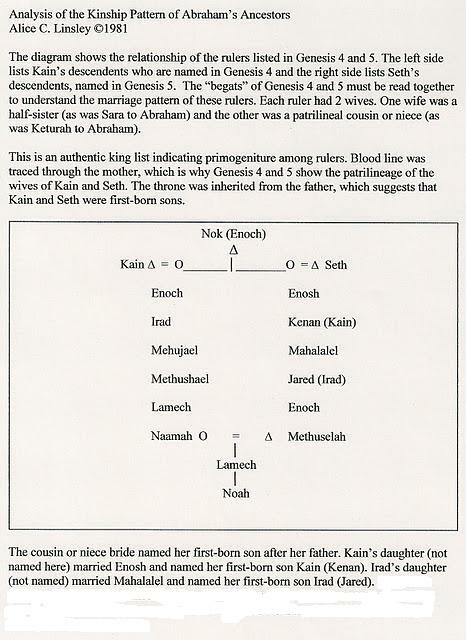 The lines of Cain and Seth intermarried (as per diagram above). The lines of Ham and Shem intermarried. The lines of Abraham and Nahor intermarried. This was the custom of the Horites (Horim) and the lists in Matthew and Luke indicate that the practice continued to the time of Jesus. 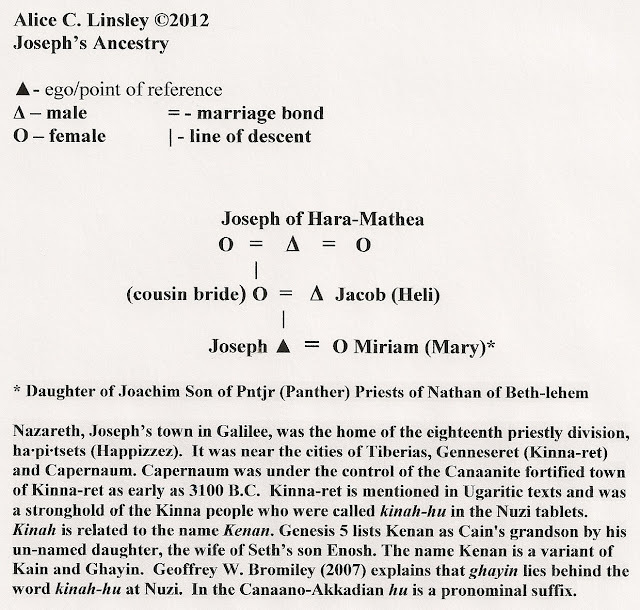 Though it appears that Luke inserts names for his own editorial purposes, we can assume that the families of Joseph and Mary understood how these records were organized. They understood the marriage and ascendancy pattern of their Horim. The Horite marriage and ascendancy pattern remained unchanged from the Neolithic period of Genesis 4 and 5 to the time of Joseph and Mary. The pattern can be traced through various parts of the Bible, and it is an impossibility that this pattern could have been written into the text at a late date. The various books that convey information about the Horite marriage and ascendancy structure were scribed by different writers over more than 1000 years. Christianity is a Tradition of very great antiquity, received from Abraham's Horite ancestors and passed by them as they lived in expectation of the coming of the Seed who would crush the serpent's head, free Adam from the curse of death, and restore Paradise. He is the true divine Son to whom the eternal kingdom will be delivered. For God's promise in Psalm 110 is sure: The Lord says to my Lord: "Sit at My right hand until I make Your enemies a footstool for Your feet." Likewise, Psalm 2 declares: I will surely tell of the decree of the Lord: He said to Me, "Thou art My Son, today I have begotten Thee. Ask of Me, and I will surely give the nations as Thine inheritance, and the very ends of the earth as Thy possession." 1. In the Song of Songs the ruler's sister bride is described as having been "made white" like the moon (6:10) while her beloved has skin as dark "as the tents of Kedar" because, as with David, he was made to work in the sun by his older brothers. Kedar was a son of Ishmael by his Egyptian wife (Gen. 25:13). The tents were woven of the hair of desert black goats of North Sinai and Egypt. 3. Horus was called the Lamb in his weaker (kenotic) existence and he was called the Ram in his glorified strength. Both are associated with the death and resurrection symbolism of the vernal equinox. This sheds light on the story of Abraham's offering of his son. As they ascended Mount Moriah, Isaac asked Abraham "where is the lamb" for the sacrifice. Abraham replied that God would provide the lamb, but God didn't provide a lamb, but rather a ram. 4. The Dravidian east-facing temple was termed O-piru, meaning “Sun House” or “House of the Sun.” Those who served in the Sun tempels were called Ha-piru or Habiru (Hebru?). Sargon I is said to have been the son of a virgin queen who was overshadowed by the High God. He was born in an O-piru. His home city was called Azu-piranu, meaning House of God (Azu in Akkadian, Asa in Chadic, Asha in Kushitic, Ashai in Hebrew; a Jerusalem priest was named Am-ashai in Neh. 11:13). The Dravidian shrine cities in southern Pakistan are referred to as the "Har-appa" civilization. Har refers to Horus and "appa" is the Dravidian word meaning father. The origin of Dravidian religion was apparently Egypt and ancient Kush from which the Horites came.” Har-appa might refer to Horus as father, just as today a Jew might refer to his father as horeh. 5. A polyseme is a word or phrase with multiple related meanings. The Afro-Asiatic languages have this characteristic, as do Dravidian and Hindi. For example, the phrase a-laya-vijña-na is the seed of the receptacle-world, or literally, the receptacle of the seed. There is a relation to the word va-gina. In Vedic tradition, karmic seeds laid down in one A-laya-vijña-na produce karmic fruition. Prajña means "wisdom of the great house." The title Pharaoh comes from pr-aa which means "great house.” Likewise the biradical TR in the various cognate languages can mean blood, purity, rain, holy and God. The Hebrew root thr = to be pure, corresponds to the Hausa/Hahm toro = clean, to the Amarigna (Ethiopia) anatara = pure, and to the Tamil tiru = holy. All are related to the proto-Dravidian tor = blood. In some Kushitic languages mtoro means rain and toro refers to God. Here we find a relationship to the Ancient Egyptian ntr = deity. The Virgin Mary was "Miriam Daughter of Joachim Son of Pntjr (Panther) Priests of Nathan of Beth Lehem." From the earliest pre-dynastic times among the Horites, ntjr designated the king. The name Panther or p-ntjr meant "God is King." 6. Buz, Huz and Uz formed a three clan Horite confederation. Uz was the name of Job’s homeland. Uz was associated with the Dedanite traders of Arabia and the Horites in the hill country of Edom/Seir. Job also was a Horite, as were Abraham, Moses and Samuel. 7. The word Horite takes many forms: Khar, Gur, Hur, Horonaim, Horoni, Horowitz, Horim, and Hori. Hori was the son of Lotan son of Seir whose descendants were the "lords of the Horites in the land of Seir" (Gen. 36:20-29 and 1 Chronicles 1:38-42). Lot, Lotan, and Nim-Lot are Egyptian titles. Nimlot C was the High Priest of Amun at Thebes during the latter part of the reign of his father Osorkon II. Horite does not refer to the ethnicity of the people, but to their caste. The ancient world had a caste structure. This explains why Horites are found among many peoples across the Afro-Asiatic Dominion. For more information see the related readings below. 9. Amen/Amon is a name for God that originated in the Upper Nile. Amen-hotep means "the Peace of Amen."